In this few month, honda brio is ready to launch to public.The smallest Honda sold in the U.S. market is the 2011 Fit subcompact, its well-reviewed and enormously versatile five-door hatchback. 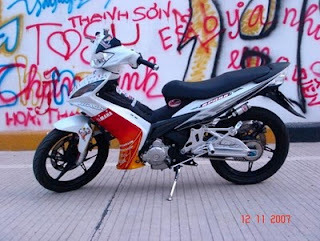 This is a BMW F 650 GS ENDURO type motor which is very suitable for people of short stature. Because not too high, so people are not too difficult to use. Weighing in at 584lbs (265kg) and powered by a fuel-injected and liquid-cooled 805cc 50 cubic-inch V-twin engine, Suzuki says its new entry-level M bike delivers impressive torque all the way through the rev range. A 32-bit ECM manages flow through the secondary butterfly valves that Suzuki claims “delivers smooth low-to-mid rpm throttle response and high torque output”. It’s priced in Austria from $10,990+GST (and on-road costs), the 2010 Suzuki Boulevard M50 is available in black or candy orange, with Suzuki’s two-year unlimited kilometer warranty. The perennial darling of the enthusiast press and racers alike, the CRF450R returns in 2010 to take its rightful place at the head of the class. With class-leading power and handling, the CRF450R features the perfect blend of power, suspension and handling for a genuine revolution in the premier motocross class. No wonder the award-winning CRF450R has won more magazine shootouts than any motocrosser in modern history. 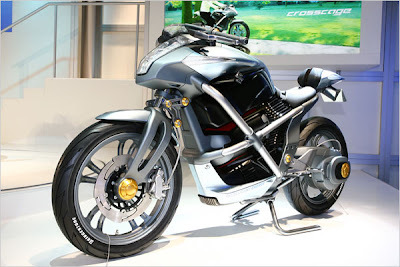 Honda announced at EICMA that they intend to introduce a new V4 motorcycle in 2010. Very few details about the new bike have been released, only that it will be powered by Honda’s iconic V4 engine configuration. The Japanese manufacturer is celebrating the 30th anniversary of its V4 engine. 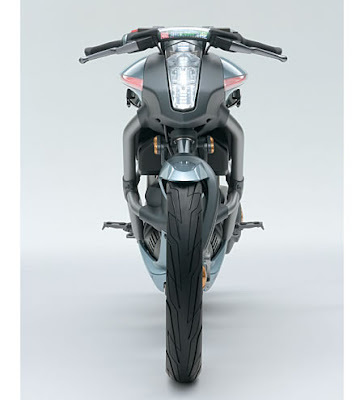 Honda introduced a V4 concept bike in October at Intermot, and many are speculating that the new bike will resemble the futuristic-looking hubless display model. The official announcement of the new V4 motorcycle does mention the concept bike, but doesn’t confirm that it’s what we’ll be seeing on the showroom floor. The announcement says that the “V4 production model is the result of overwhelming response from customers, media and motorcycle dealers across Europe following the debut of the V4 Concept Model”. 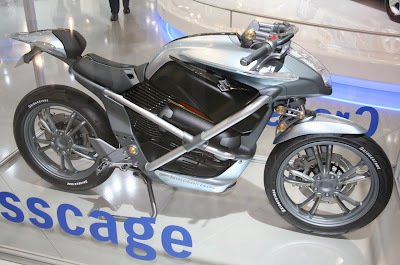 Motorcycle.com correspondent Yossef Schvetz didn’t sound too enthused about the concept bike in his Intermot report. We’ll let you know when we find out more about Honda’s new bike. What do you think? 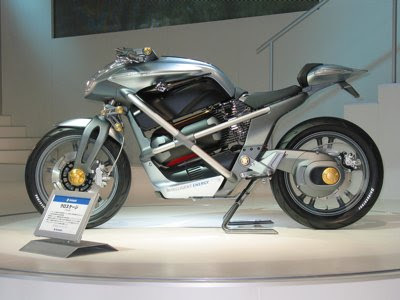 Would you like to see this bike at your local Honda dealership in 2010? Shiver front brakesIn addition to the high-tech throttle and the attention to styling, you'll find quite a few other upscale touches on the Shiver, such as radial-mount, four-piston front brake calipers with metal-braided lines, the stainless steel exhaust (which includes a catalytic converter and an oxygen sensor for closed-loop precision), an inverted 43mm fork, a hydraulically operated clutch, a comprehensive digital gauge display with adjustable backlighting, and the fat, gold handlebar reminiscent of the one on its big brother, the Tuono. The Shiver may slot into the highly competitive and price-sensitive middle range of the market, but by no measurement does it look or feel cheap. Gauge clusterThe Shiver does have its quirks, which take a little while to get used to, especially in the switchgear. The headlight switch is on the front of the left-side switchgear housing, operated by your index finger, not your thumb. The engine shutoff and the starter button are incorporated into one switch. Aprilia ShiverAprilia cites the Yamaha FZ6, Kawasaki Ninja 650R and BMW F800S as the Shiver's competitors. They could have mentioned the Ducati Monster S2R 800, the Suzuki SV650 and the new-to-the-market Kawasaki Versys and Triumph Street Triple. In other words, this is a tough class. 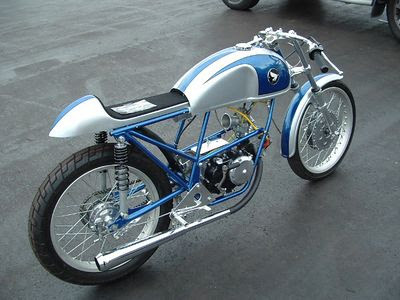 Only the BMW is more costly than the Aprilia. Cupertino, CA ~ Throughout the winter, Ducati searched the country for the coolest Monster in North America. Winning Monsters from eight different IMS shows were selected for the grand finale on March 11th, in Daytona, along with four wildcard bikes that were so exceptional they warranted inclusion. A celebrity panel of judges including editors from Moto-Euro Magazine, Cycle News, the Desmodromiclub of Rome, Neil Hodgson and Eric Bostrom from Team Ducati Austin and Ducati CEO Michael Lock. Bikes, owners and judges assembled in Daytona to carefully critique each entrant. 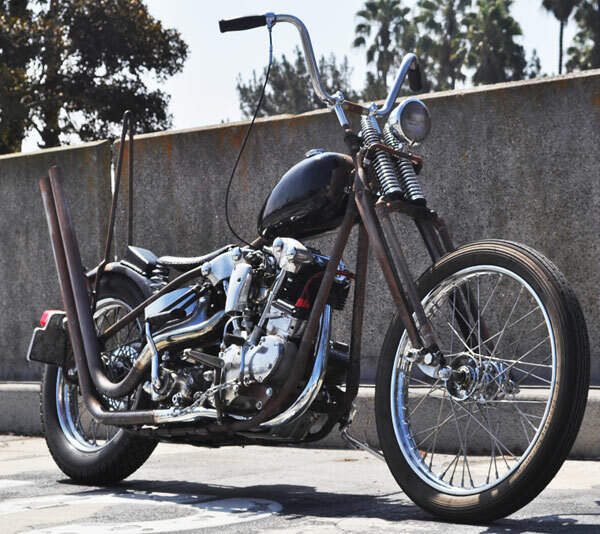 The bikes ranged in style from vintage inspired to turbocharged performance, making judging difficult because all the bikes were so well crafted. With each bike, one could tell the owner's intentions and what they thought a truly perfect Ducati Monster should be. 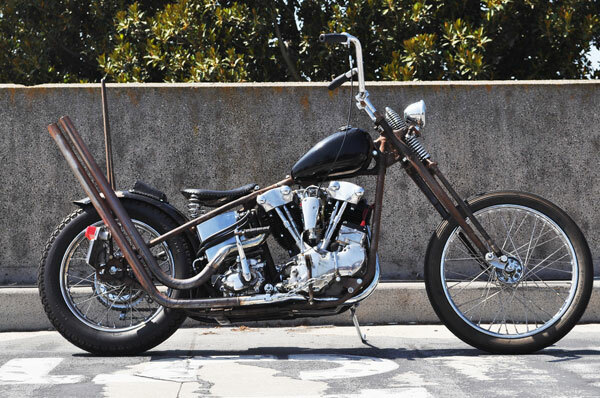 In the end, Stuart Baker, who won at the IMS Show in San Francisco, was adjudged to have the most outstanding bike. 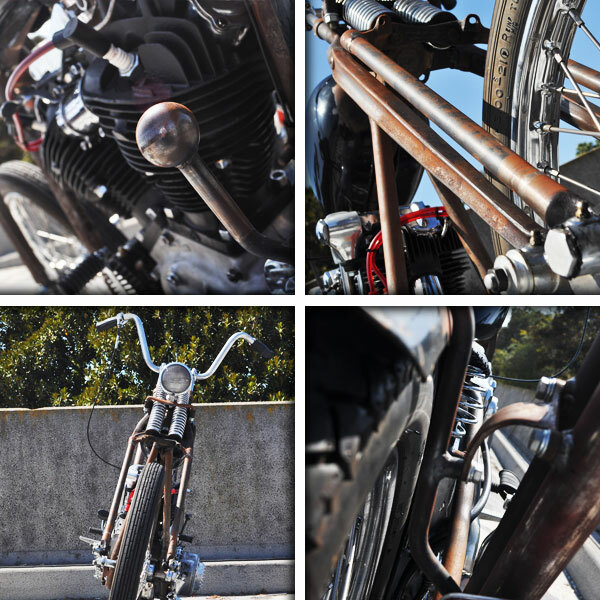 Special mention was made by many judges of the purity of purpose and classic café-racer lines' of Stuart's bike. 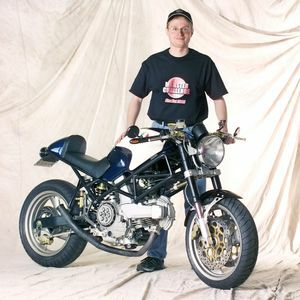 Baker won a brand new, $13,495, 117 HP 2005 Ducati Monster S4R as his vintage styled 1999 Monster 750 took 1st place in front of a large crowd of Ducatisti on a beautiful afternoon in Florida. 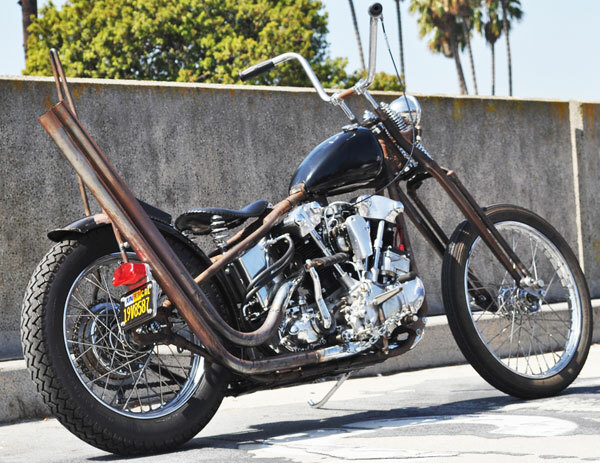 "It's easy for someone to look at the pictures, and modification lists on the Internet and make judgments about other motorcycles. It is a whole other matter when you are face-to-face with the machines. Each and every motorcycle in the final round of the Monster Challenge was full of thought, great modifications, and a lot of passion. I'm not surprised it took the judges an extra two hours to announce their decisions," commented Stuart. 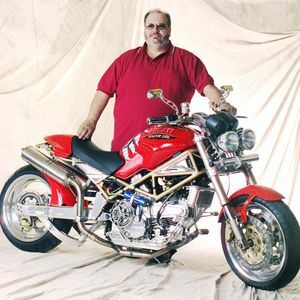 Second place went to Chris Nicolaou of Port Perry, Ontario, who won a trip to the 2005 US MotoGP, featuring the return of Grand Prix racing to the USA and the debut of Ducati's V-4 engined, 216 mph Desmosedici machine. Chris was the only Canadian selected as a finalist and his Monster features an extended swingarm, amazing craftsmanship and a unique style. 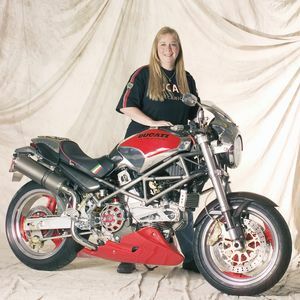 Kyle Brussich of Houston, Texas finished on the podium in 3rd place with her heavily modified 2000 Ducati Monster 900. Surprisingly, Kyle was the only female finalist in Daytona despite having many women-owned Monsters compete in the Monster Challenge. She wins a $1,000 Ducati Performance gift certificate. "Each and every motorcycle in the final round of the Monster Challenge was full of thought, great modifications, and a lot of passion. I'm not surprised it took the judges an extra two hours to announce their decisions," commented Stuart. 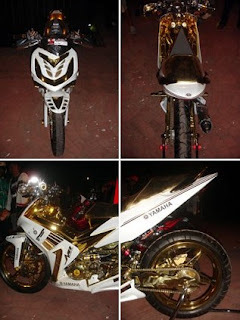 HONDA CB MODIF , Motorcycle & Scooter India Pvt. 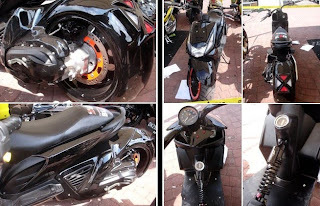 Ltd. (HMSI), the 100% endemic 2-wheeler accessory of the Honda Motor Company, Japan – the world’s better architect of 2-wheelers, today apparent its attack into the accumulation articulation through the barrage of its aboriginal honda CB twister 110 cc bike CB Bewilderment in the attendance of chief Honda officials. Living up to the appearance aspirations of Indian bike customers, honda CB twister ewilderment offers style, incomparable performance, acceptable breadth and accessibility at an affordable cost. 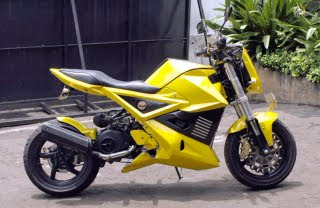 The new age administration of the bike is aggressive from apple trend CB1000R. 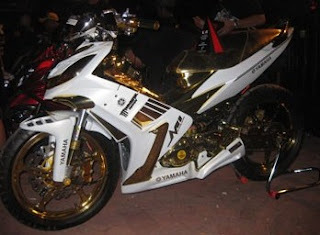 The screenless layered avant-garde cowl, clear headlight, amphibian ancillary cowl, able-bodied ammunition tank, aciculate rear with abbreviate tail, multi reflector appendage lamp, abbreviate muffler and bisected alternation case makes the bike appearance figure in the segment. CB Bewilderment will be the best in chic in agreement of dispatch & aces up. 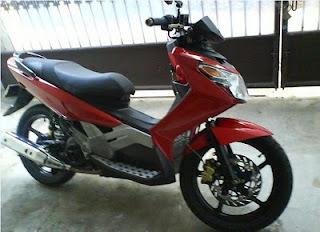 The honda CB twister bewilderment is able with all new 110 cc engine, carrying 9BHP of power. The adamant accompanying aqueduct anatomy & V-shaped admixture auto provides adherence and enhances the maneuverability. Tubeless tyres are the different affection of CB Twister, for the aboriginal time in the segment. The addition of this bike will actualize a new articulation and aggrandize the 2-wheeler bazaar in India. Powered with 110cc engine, CB Bewilderment will bear a breadth of 70 kms per litre*. 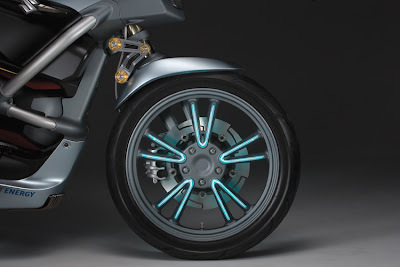 The bike is able with aliment chargeless array & adhesive air clarify for added convenience. 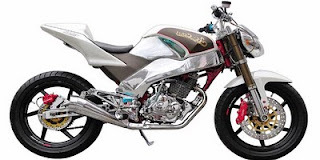 Strictly adhering to the BS-III norms which will appear into aftereffect from April 2010, CB Bewilderment would be one of the best ambiance affable bike. CB Bewilderment is targeted at the barter who aspire for appearance and achievement forth with basal needs of breadth and abundance in apprenticed budget. CB Twister, depicts world’s latest trend with incomparable performance. The prefix “CB” has been acquired from Honda’s beautiful world-trend alternation emblematic naked sports and the chat “Twister” depicts bouncing apprehension with abundant strength. 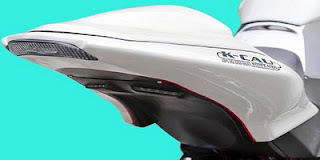 Taking the afflatus for Drawing from the iconic CB1000R design. All variants will be accessible in bristles agitative colors i.e. Pearl Amber Yellow, Candy Sonic Green, Pearl Nightstar Black, Pearl Siena Red and Pearl Fuji Blue. “We will abide to accommodate agitative articles & advance the amplification in anniversary two wheeler segment. The CB Bewilderment meets the new age customers’ appeal distinctively “value for money”. 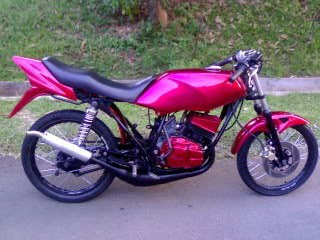 The bike is a absolute aggregate of new age appearance and incomparable achievement with economy. With the latest acid bend technology, the bike is apprenticed to aggrandize the 100-110cc articulation further.” – Mr. Shinji Aoyama, President & CEO, Honda Motorcycle & Scooter India Pvt Ltd. 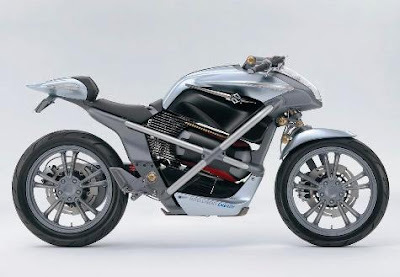 If you want crazy power motorcycles, try lyric BMW K 1300 R, which is an exotic motor sport as well as futuristic. 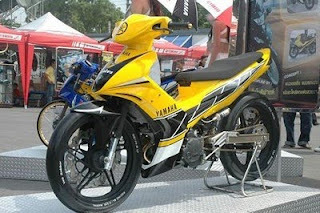 This motorcycle carrying capacity of 1293 cc engine-powered formidable 173 hp and 103 lb-ft of torque. This is suzuki concept car assumed it is Suzuki since it has Suzuki logos all over Suzuki has premiered the 2010 Kizashi Turbo Concept which made its public debut April 30th on the Speed Channel's Test Drive program. 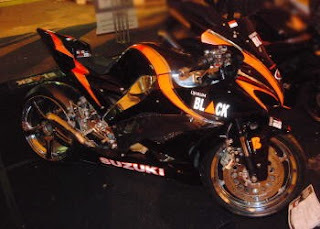 The concept was born out of the designs of Suzuki tuner Road Race Motorsports working with a pre-production Kizashi GTS. Road Race Motorsports added its own 16G turbocharger, high-flow intercooler, an extreme spray injector, a blow-off valve and a velocity air intake. All that takes the Kizashi up to a competitive 290 bhp (216 kW). is made by a student with good taste and skills. He drawn a sketch and made the clay model. It took 10 months to build it (April 06 - February 07). 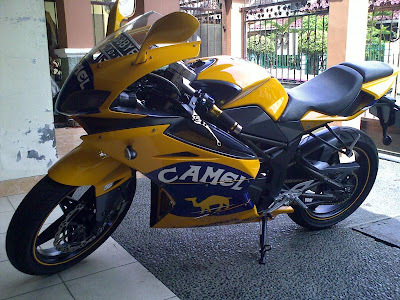 I don't remember if I saw it since it is 4 years old model(maybe one of the GSX-R4 version?) but I wouldn't mind if Suzuki would build such a great looking sports car.